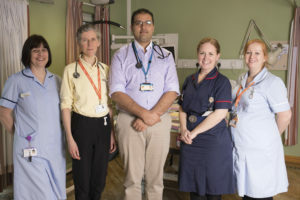 The Hospice is a new, ground-breaking series focusing on the lives of patients under the care of ellenor – a British hospice based in Gravesend, Kent that provides an individualized approach to end of life care. The series was commissioned by Together and produced by Knickerbockerglory – the creators of Channel 5’s long running series GP: Behind Closed Doors. The Hospice follows the deeply personal stories of adults and children who are receiving end-of-life care both in their own homes, and at the ellenor inpatient ward in Gravesend as well as the daily tasks of the many hospice workers and volunteers who are so essential to providing this service. Together will broadcast the first of 13 hour-long episodes of ‘The Hospice’ on Tuesday 8th May at 10pm on Freeview, Sky, Virgin, freesat and on demand services, like TV Player.